Mawuvio's Outreach Programme believes that it is the lack of education keeping poverty alive. Thus, access to adequate education is the key to eradicating poverty and making a better Ghana. 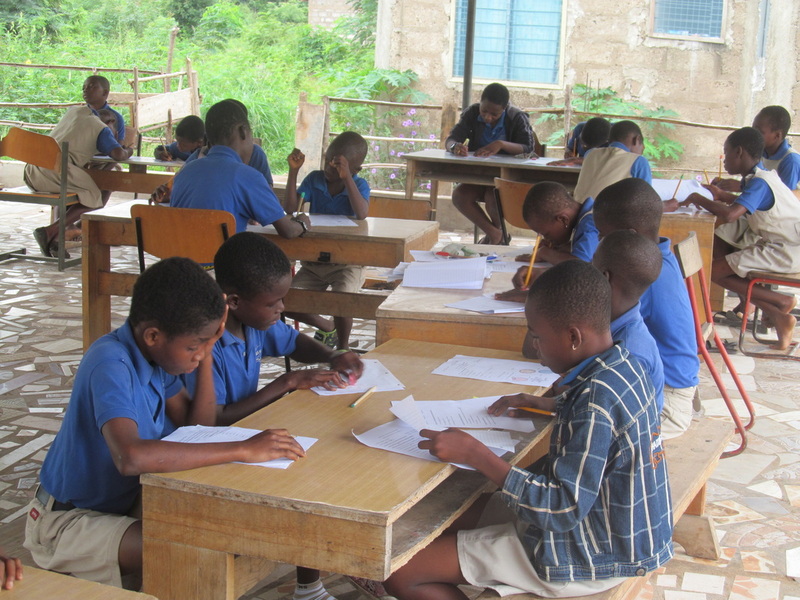 the financial means necessary to afford the fees required to attend Ghanaian public schools. We provide quality free education. Our students receive free school supplies, books, uniforms, bags and shoes to ensure they prepared to learn. ​Prior to the establishment of MOP, our students had never sat in a classroom before and could not make sense of letters or numbers. They are the first generation of literate individuals growing up in their communities. 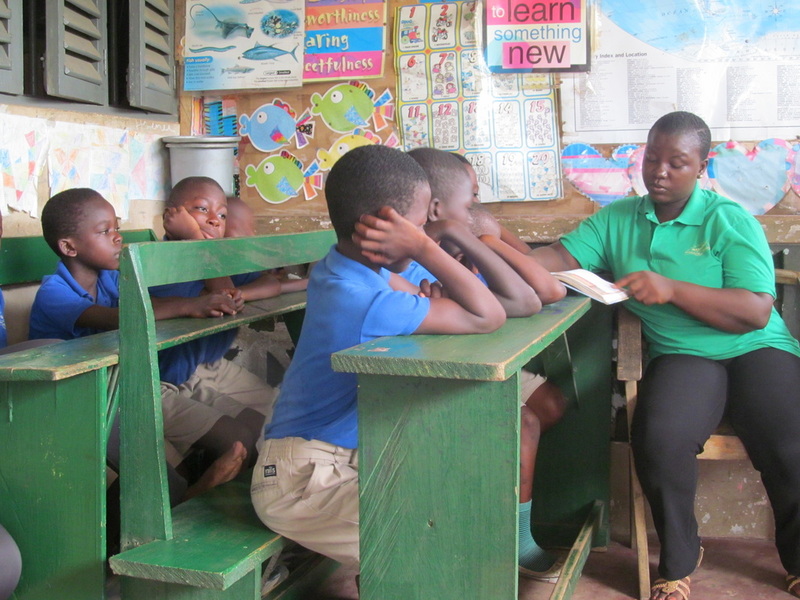 Mawuvio's Outreach runs a Ghana Education Service approved Basic School (Primary 1 - 6 & Junior High form 1 -3) in the small community of Ayikuma in the Shai - Osudoko District. Approximately 80 students attend school at the Ayikuma facility. Half of these students reside at the school and half attend as day students. 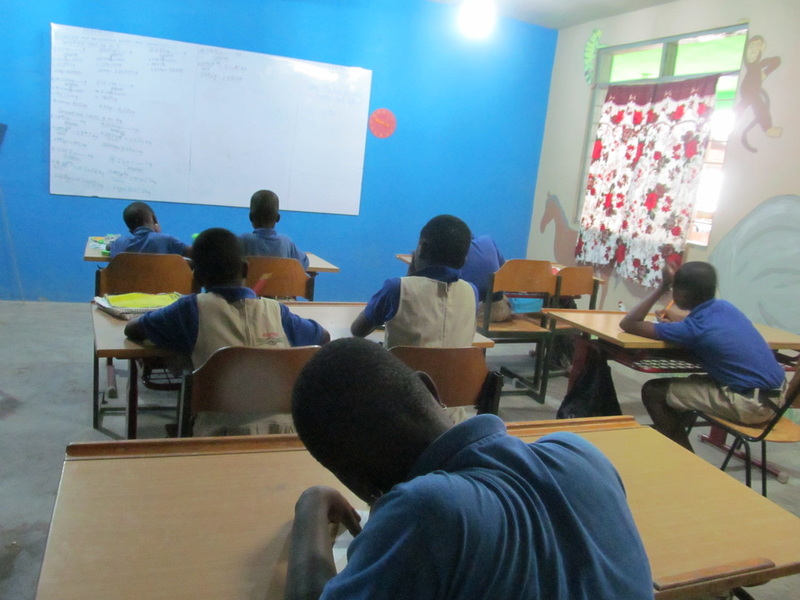 Students learn three core subjects: English, Mathematics & Science and five secondary subjects: Dangme Language, Information Communication Technology (ICT), Religious & Moral Education (RME), Creative Arts, Environmental Studies (primary 1 - 3) and Citizenship Education (primary 4 - 6). Mawuvio's Outreach runs a Ghana Education Service approved Nursery school in the Kissemah community on the outskirts of the capital, Accra in the Abokobe district. Approximately 10 students attend the school in Kissemah which is located on a small porch. Nursery & Kindergarten students learn three subjects: English, Mathematics & Environmental Studies. For more school pictures, visit our photo gallery.